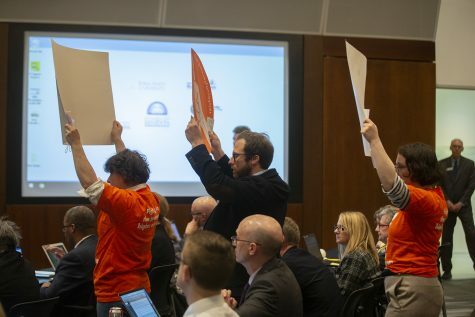 The Board of Regents discusses the rise in undergraduate student financial aid through grants and scholarships, and the remaining unmet need of students in lower brackets of income. UI freshman Thomas Schutter walks in front of the Old Capitol on Monday. The state Board of Regents discussed the annual report on student financial aid at regent schools at Iowa State University on Feb. 27, citing the importance of college access and affordability for the students. Regent Associate Chief Academic Officer Jason Pontius, student financial aid is typically broken down by the federal government, institutional or regent and university aid, private or corporate donations, and state aid. 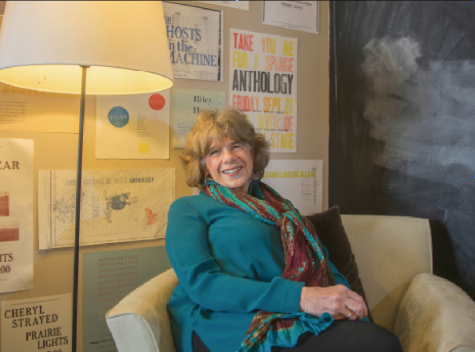 “Of a national $241 billion in student financial aid, $1.1 billion goes to students at our regent universities,” Pontius said. While loans lead to more student debt, they are primarily provided by the federal government. 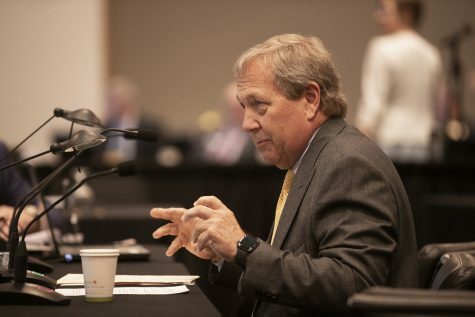 Regents mostly offer grants, scholarships, and work-study employment, which, he said, do not need to be paid back and help reduce the overall cost for students. 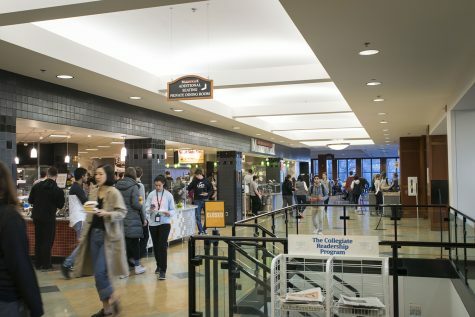 Pontius said undergraduates receive 70 percent of all student financial aid, and their institutional aid has most recently increased from $264.9 million to $277.1 million. 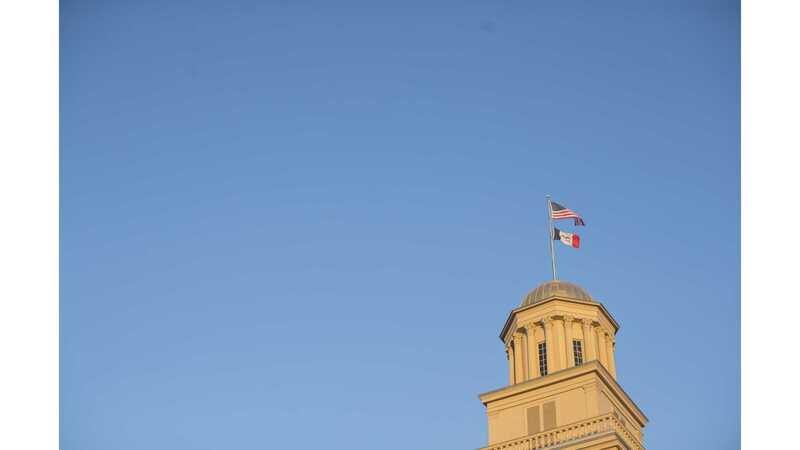 An increase in financial aid likely stems from an increase in the number of undergraduates, he said. 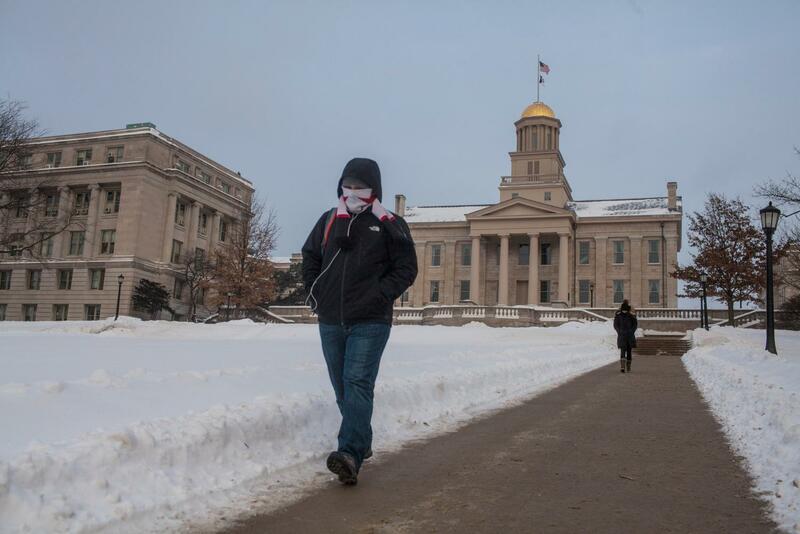 At the UI, institutional student financial aid for undergraduates is up 95 percent. 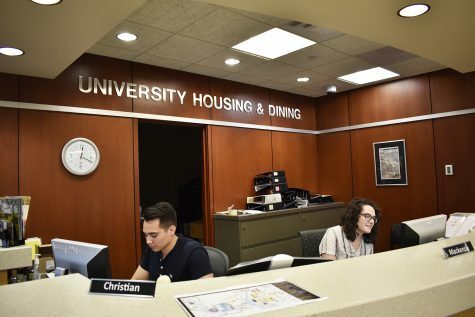 Pontius said student need is determined by income brackets, and for a resident undergraduate, the average cost of attendance is $20,000, minus $6,800 in scholarships or grants and $9,800 in expected family contribution, resulting in $4,500 unmet need. 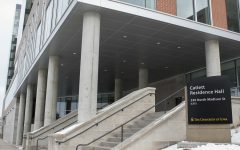 “The Offices of Student Financial Aid are trying very hard to provide as much money as possible to students who have the most need,” he said. 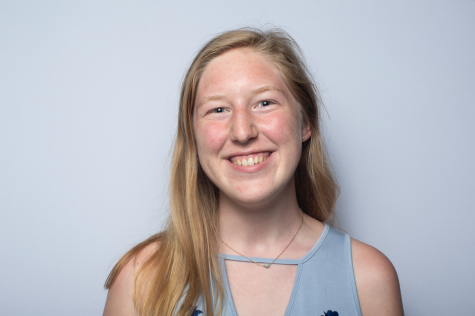 Students with high unmet needs typically have to take out private loans, but Pontius said a large number of students at regent institutions are graduating with $0 in debt, which is low relative to other state colleges. 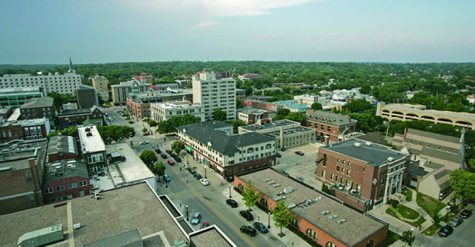 Compared with Iowa State University and the University of Northern Iowa, however, the UI has the highest resident debt. 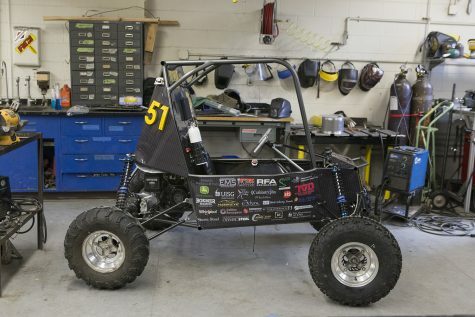 “But they also have the lowest number of students who need to borrow for college,” Pontius said. 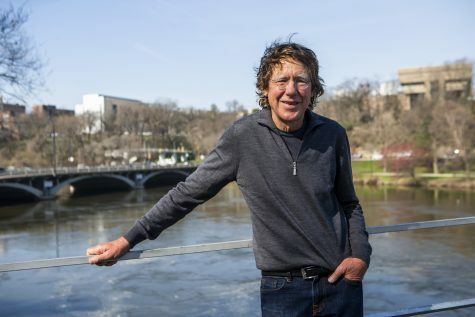 Very few university graduates in Iowa who have loans to pay back after college are defaulting on those loans, he said. Regent Rachael Johnson asked Pontius if the reason Iowans have such a high rate of completing their FAFSAs is due to increased advocacy by the state, to which he responded there’s very little advertising that actually affects whether people complete their FAFSAs. 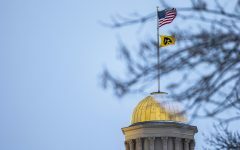 Pontius said a slight dip in the total amount of money contributed to student financial aid by the regents is largely due to an accounting change at the UI. 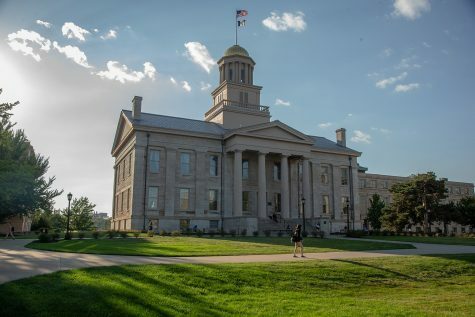 UI Assistant Provost for student financial aid Kathy Bialk said the dip in institutional aid is primarily due to UI reporting in graduate assistantships and other student employment, which are both responsible for about a $15 million drop. Bialk said a change in what categories of payroll payment should be included as institutional student employment accounted for an almost $10 million change in reporting amounts. Spending is offset in this category, she said, because students earned $1 million more under the federal work-study program in 2017-18 than the previous year.